Welcome to J. Watson Scott. We are a firm of family law, conveyancing and Wills & Executry solicitors based in Hamilton. We offer a friendly, approachable service. We put our clients welfare at the heart of everything we do. We understand the value of one-to-one advice and aim, at all stages, to provide our clients with a thorough, personal service. More and more, we can access legal advice online. Often, you can access off-the-shelf legal advice. However, online legal resources don’t take your particular circumstances into account. 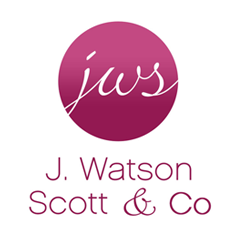 When you instruct J. Watson Scott, we’ll sit down with you to chat through your situation and provide the best legal advice we can, tailored for you. We’ll take you through the process step-by-step and make sure you’re informed at every stage. All of our solicitors pride themselves on being approachable, empathetic and friendly and all the advice we provide is delivered with this philosophy in mind. If you are planning for the future, thinking of moving home or winding up a loved one’s estate, J. Watson Scott can help. Our friendly, approachable solicitors are here to advise you on Wills & Executry, Property & Conveyancing and Family Law.